"Mushi": the most basic forms of life in the world. They exist without any goals or purposes aside from simply "being." They are beyond the shackles of the words "good" and "evil". Mushi can exist in countless forms and are capable of mimicking things from the natural world such as plants, diseases, and even phenomena like rainbows. So what are Mushi and why do they exist? This is the question that a "Mushi-shi", Ginko, ponders constantly. Mushi-shi are those who research Mushi in hopes of understanding their place in the world's hierarchy of life. A meditation on nature and humanity. 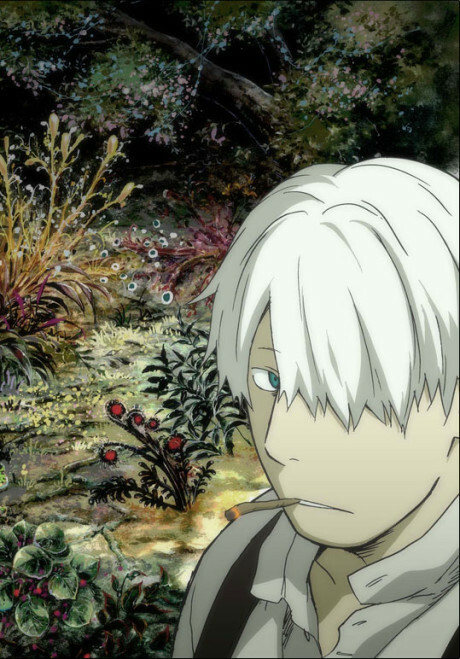 And how Mushishi became my favorite anime. Mushi-shi - Genius or Dull?